Styled with huet t-shirt . This is one of Citizens' most popular silhouettes for a reason. 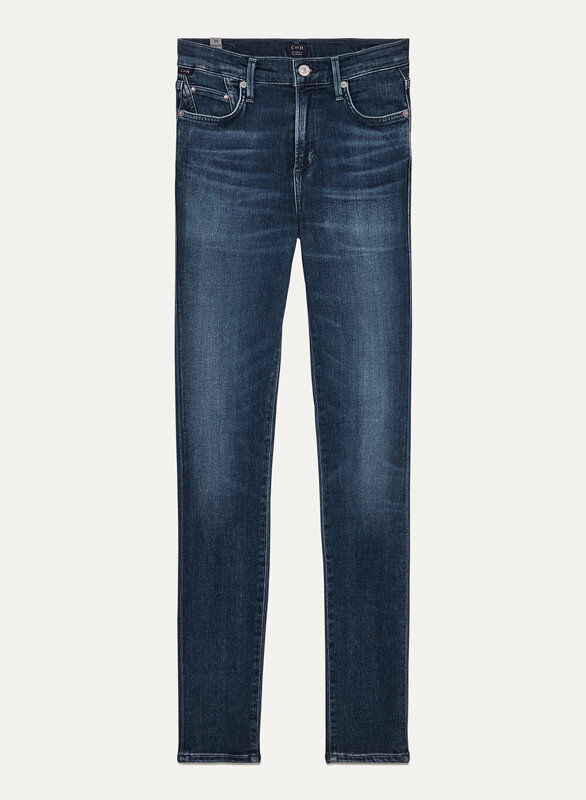 Super-stretch denim fits like a glove and keeps its shape, while the flattering high rise cinches your waist. Feel great on, love the high waist. True to size. For reference I am 5ft5” and 115lbs. Bought the size 26. This is my 10th pair of COH - trust me, they are worth it. they fit like a glove and last forever and are so comfy. These pants are the perfect fit. Very stretchy. Normally I would wear size 30, but downsize to 29. The material is very soft, the downside is that it wears out quickly. They look great dressed down and equally great dressed up. This is my 3rd pair. The only jeans to buy, best brand, fit and amazing quality. I only wear citizens, I’m petite and they fit the best and don’t stretch out through the day. They quality is worth the price, I’ve had jeans for 6+ years and they still look and feel the same as brand new.